One of the most common elements in the universe, carbon is now utilized in many ways. The element is extracted from coal deposits. It is classified with group 14 of the periodic table. The following are some of the common applications of this non-metallic element. Heat resistant devices, tools and metal cutters have carbon built in. The metal is also used in cooling systems and machinery. Carbon monoxide is employed as a reduction agent. This is necessary to get compounds and other elements. As carbon dioxide, it can be found in dry ice, fire extinguishers, carbonated and fizzy drinks. Vegetal carbon is sometimes used as a gas absorbent or bleaching agent. The same element is utilized as a decorative tool for jewelry. Many inkjet printers employ carbon as ink base. It is applied as a black fume pigment in car rims. Graphite is one of the three carbon allotropes. It is one of the softest and most versatile. It is used in steel processing, pencil lead and lubricant. The carbon diamond element has many industrial and commercial uses. It is the hardest. It is also considered as one of the most precious gemstones in the world. Aside from being a valued piece of jewelry, diamonds are also used for cutting. Humans need this element in various phases of their development. The element functions as a body macronutrient. All parts of the body have carbon traces. Intricate life processes use the element as a building block. Without carbon, the atoms in the human body will disperse. This technique is used to determine the age of minerals and fossils. Carbon-14 is a radioactive isotope. It is the element that is used to perform this activity. Carbon dating is applicable on deceased life forms; it cannot be used for rocks. One of its major applications is in the shape of hydrocarbons as crude oil or methane gas. The former is used to produce kerosene and gasoline via distillation. When in coke form, the element can turn iron ore to 100% iron. The nonmetallic element can be mixed with titanium, boron, tungsten or silicon. Combining carbon with any of these elements produces hard compounds. These types are utilized for grinding or cutting tools. 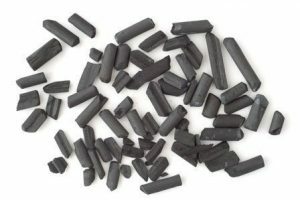 Activated charcoal can be used as an adsorbent filter. Among these are kitchen extractor hoods, water purifiers and gas masks. The same element can be utilized in medicine to take out poisons, gases and toxins. 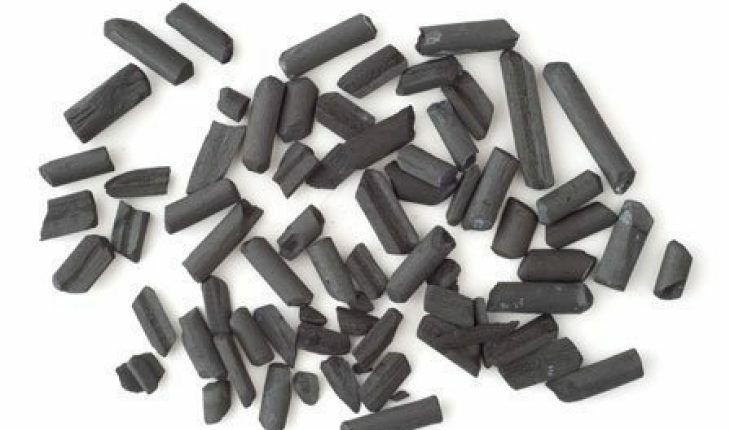 Charcoal is another kind of carbon. It is commonly utilized in grilling barbecue. Charcoal is also used by artists as a painting tool. Plastics are composed of synthetic carbon polymers. These are artificial, not natural products. Cellulose is a natural carbon polymer. It is applied in hemp, linen and cotton. The element is abundant. It is found in living organisms. Because of its abundance, it plays an essential role in the stability of the planet via the carbon cycle. The cycle depicts the intricate interconnection between the living things on the planet. Its atomic number is 6 and its symbol is C. Its molecular structure allows the molecules to join with other elements. The products are various compounds. Carbon molecules join each other in unique ways. This process is responsible for graphite and diamonds. The element is present in all living organisms even after they decompose or are altered. When living things become fossilized, they can turn into petroleum, limestone or coal. All of these have carbon. It takes millions of years for deceased life organisms to assume these forms. But their carbon elements are maintained. The carbon found here is used for fuel. In its natural state, carbon is nonreactive. But when combined with hydrogen or other elements, it becomes more reactive. Hydrocarbon compound is employed as an energy source. This flexibility makes carbon very adaptable in many industries. Joined with iron, the result is steel. Burnt carbon is used to produce fuel. It can also be used for filtering different kinds of substances. Basic carbon poses no threat to humans. But some forms can be toxic including carbon monoxide. It may also be combined with other lethal elements. But pure carbon can be ingested. It is invulnerable to chemical attack or dissolution. Carbon black has long been utilized for tattoo. However, anyone who wants to learn the uses of carbon has to learn proper safety precautions. Inhaling small amounts of coal soot or dust is not dangerous. But inhaling a lot of them can be. Carbon is the most common element on the planet’s crust. It is the most prevalent element in the universe next to hydrogen, helium, and oxygen. In humans, it is second in prevalence to oxygen.